Skybox Event Productions serves all of Southern California, from Los Angeles to Orange County and beyond. With Skybox at your event, you get expertise in planning, food, publicity, and much more! The Skybox Team is full of individuals who bring the very best of each aspect of an event and highlight them through their individual skills. Whether an anniversary, a wedding, a dinner party, or a business gathering, Skybox Event Productions will always ensure your event will be beyond compare, creating unforgettable memories for all those in attendance. With over 14 years of event planning experience, Ngoc Nguyen Lay is constantly looking for new and innovative ways to make her clients’ events memorable, putting them on the cutting-edge of the industry. Now with a growing team and clientele, Ngoc thrives on organization and creativity for every event. Not one to settle, she won’t stop until your event is the talk of the town. As Owner and Creative Director of Skybox Event Productions, Ngoc has honed her ability to develop extraordinary experiences at every event, making her one of the most sought after coordinators in the Los Angeles and Orange County, and the perfect “behind-the-scenes” hostess for your next gala. With her team, you can rest assured that your next event will be beyond compare, creating unforgettable memories for those in attendance. “Wedding is a life-changing event in anyone's life, and Skybox gives me a chance to be part of that." Charisse Salangsang has always dreamt of working in the event planning industry. Even at an early age, she created her own opportunities to plan with her family and friends, with parties and special occasion, Charisse would always volunteer to coordinate. Charisse loves taking pictures and videos to show everyone how wonderful and memorable a celebration is. Now a veteran in the industry, with her charm and constant winning smile, she easily develops solid relationships with clients, colleagues, and vendors. Charisse is highly organized and obsessed with details because she believes that the littlest things are what set apart ordinary events from extraordinary events. 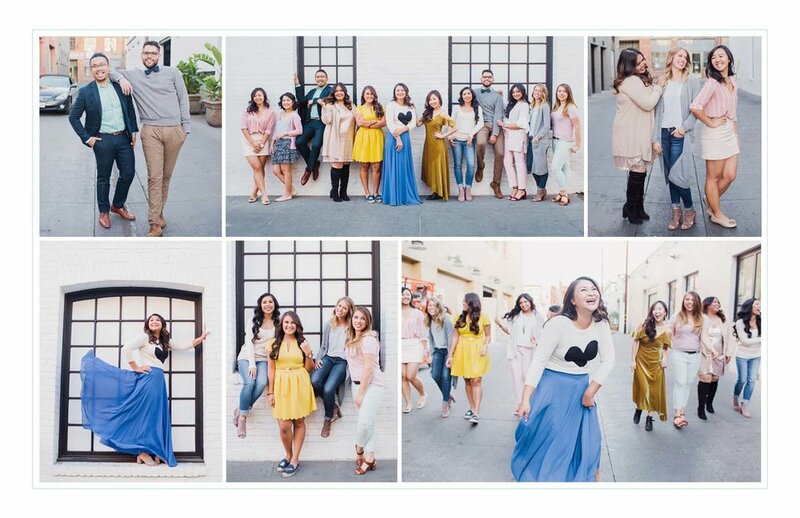 "I love seeing client's faces light up after they see everything put into place and their dream event is realized. It is as if you have joined in their memories that will last for a life time, and that within itself is the most rewarding part of event planning. The magic moment is what I live for." Aisha Razzak has had her fair share of event planning, and specifically the do's and don'ts. She has become well acquainted with various venues, logistics, and of course her favorite part- the clients, whose special day she is happy to help execute. She enjoys all the small intricate details involved in event planning. Her high energy and love for the industry makes her passionate about her work, and no task ever seems too daunting. Not matter how many hours she is on her feet, she enjoys the hustle and bustle of making sure everything is going according to schedule. With Aisha by your side, your event will definitely go off without a hitch! "I've always wanted a job that didn't feel like a 'job,' but more like coming together with friends to work on a project that we're all passionate about. That's what Skybox has done for me." Having experience in the restaurant industry, Jeanette Yoon is no stranger to multitasking under pressure, and she does it with a smile. She is able to quickly problem solve any situation and loves to be kept on her toes while making the clients feel comfortable and at ease. Jeanette knows the value of hard work and enjoys going above and beyond the clients expectations. The one thing that she loves about working on event day is the constant buzz that surrounds the event while getting everything ready. Then as she witnesses the client walk-in and see the final product it just turns into magic. Realizing a knack and delight for designing, planning and executing events during her early academic years, Eilene dipped her toes in the vast ocean of the wedding industry in 2011. She received her BA from UCLA in Sociocultural Anthropology, and she is constantly inspired and encouraged by people, environments, arts and cultures. Eilene finds a special joy in collaborating with clients, embracing their visions and ultimately bringing it to fruition. Whether an intimate gathering, a lavish ceremony, or a corporate affair, Eilene will go above and beyond to ensure that each experience is custom-tailored and heartfelt. Her savvy attention to detail and management skills combined with a natural, artistic eye for beauty will provide a comforting, positive presence on the special day. Our restaurant and hospitality specialist, Jay is jack of all trades when it comes to the event industry. With a background in culinary arts, hotels, events, and restaurant management, he is your man for any situation. Also a true foodie, Jay specializes in bringing you the best in cuisine. Jay believes that food creates conversation at every fabulous engagement, and therefore works to ensure that your event only has the most intriguing, entertaining, and quality menu within any budget. Jay's motto is that from a simple at home dinner party, to your 30th birthday party, there is always room for an event coordinator. A welcome addition to our team, Gabriel Barrios, brings the spice of life back to Skybox. Adaptable, pragmatic, and always reliable, he is your behind the scenes man to make sure all runs smoothly during your next event. Our resident mixologist, Gabriel's talent at creating the perfect cocktail pairs perfectly with his experienced palate to ensure your guests have the finest dining experience. Gabriel believes that a signature cocktail makes an unforgettable signature event. Currently pursuing her bachelor's degree in English with a minor in Theater at UCLA, Kristine has always had a passion for stories and for bringing people together through special events. As part of the Skybox team, she loves that she can be help piece together the aesthetic details that take an event to the next level while seeing the joy that clients experience in full force. "Working with Skybox is more than just a job. It's a love affair and obsession with helping create the most memorable moments people will remember forever." 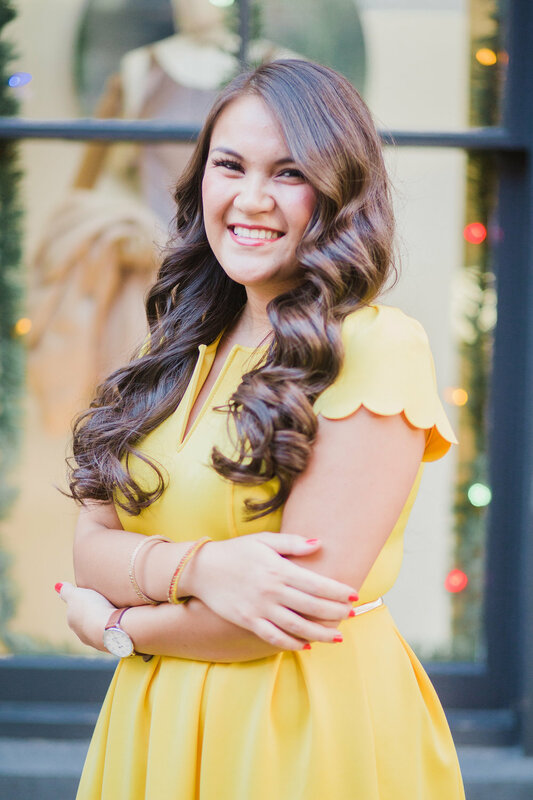 Growing up in Los Angeles, Rebecca has found her place in the chaotic world of what we know as event planning; designing and creating moments for clients to cherish and share for the rest of their lives. She excels in taking the rough elements and turning them into a beautiful and polished finished product. Rebecca has combined the love of event planning and designing into one to create the event her client's envisioned. "It's not just about the event details and logistics, it's about being part of something bigger than just a "job" and helping create memories to last a lifetime. It's the perfect combination of creativity and organization. " All the way from Northeast Ohio, Megan has found her way to the fun loving event industry on the West Coast. Always being on the people side of things, she graduated with a degree in Strategic Communication and Nonprofit Management from The Ohio State University and has loved working closely with all event details and logistics to make sure the client's vision comes to fruition. Nothing beats the buzz and magic of seeing the event day come to life! " Angel is a highly organized, fun-loving soul who thrives on the energy that vibrates through an event. A born organizer, Angel has been a planner for as long as she can remember. She is a stickler for details, a junky for pretty spaces, and a lover of love, in all its sensational shapes and sizes. As a project manager by trade, she takes pleasure in overseeing multiple logistical aspects of all types of event. Working in event planning beautifully combines her passion for building timelines, magical spaces, unique visual elements, and pulling together all the details. In her spare time, she enjoys hiking up in the mountains, baking everything chocolate, and checking items off her bucket list. Born and raised on the cusp of Orange and Los Angeles counties, Crystal Herrera knows the ins and outs of the perfect So-Cal Wedding. Having successfully completing the Special Events series at the Cal Poly Pomona Collins College of Hospitality Management, Crystal constantly brings a hospitality mindset to every event that she works. Her “roll with the punches” attitude allows for her flexibility before, after, and within every event. No problem is too big, and no client needs to worry because Crystal shows that the way to every successful event is to stay on your toes and stay flexible. Working with high-scale clients and small intimate gatherings, Rachel has become well accustomed to all types of venues, people, and events in the 8 years she’s been in the event industry. Specializing in event coordination and publicity, Rachel is constantly looking for a way to publicize your event so that not only your personal guests can admire your important day, but the whole world can celebrate with you. She thrives on details, organization, and people interaction, which allows you nothing to worry about during your event.